employU’s Transition Service Coordinators and job coaches are experienced with working with a diverse population and are trained vocational specialists. All of our staff are passionate about working with the youth and are dedicated in providing the appropriate level of activity for each student. We understand that not every student is available or interested in working or participating full time. Our program has the ability to adjust to each customer’s schedule and interests. There are 2 ways an individual may engage employU as a customer. The first method is to become a customer with Vocational Rehabilitation. One would contact their local Vocational Rehabilitation office at www.rehabworks.org and sign up for services. This would allow one to engage in services the Vocational Rehabilitation provides and once their plan reaches the stage of work experience they would be referred to an employment provider of their choice. A second method to enroll in services is to engage in what is named the STAR Program. Many schools in the State of Florida (check with your institution) have been provided a STAR web portal where they are able to enter the information of the student whom wishes to be referred. Once the information has been entered the student will be contacted within days by the Vocational Rehabilitation STAR tech. 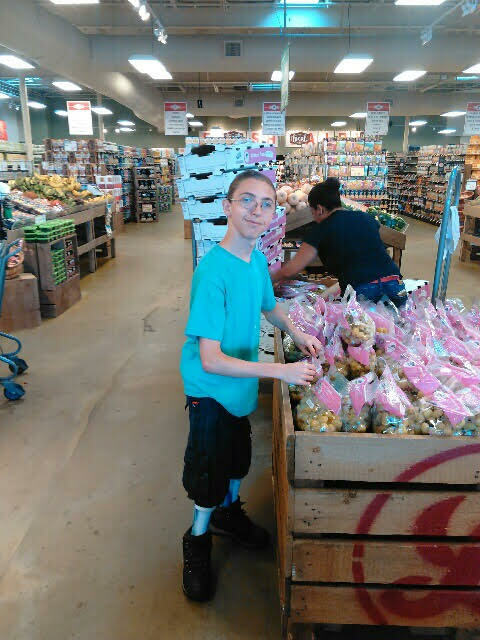 The student would not be eligible for all of the Vocational Rehabilitation services through the STAR program, however they would be immediately available for the Vocational Evaluation Assessment Service, Pre-Employment Training Program, Self-Advocacy Training Program and the On The Job Training Paid Work Experience. employU is consistently adding new business to our list of eligible job locations to provide a wide variety of environments for our students to work at. Our specialists will meet with each customer and their supports personally to determine their job interests and travel radius. From there a customized plan is created to provide a large variety of work experiences. At the conclusion of each on the job training students have gained valuable experiences. They develop solid work references and build strong connections for future employment. Each experience averages between one to two months and students may repeat their participation as desired during their eligibility period. Our job readiness training consists of 20 hour sessions that include teaching students how to set goals, write a resume, search for a job, conducting mock interviews, and how to fill out an online employment application. Since each individual is unique, we take the time to get to know each one on a more personal level. Self Advocacy is a two-part program designed to provide the necessary guidance to learn how to become more independent. Each participant will walk away with several takeaways that will assist them in becoming more job-ready. Examples include resumes, references, a cover letter and letters of recommendations.